Long time Superior Court Judge and STMS Co-Founder David Belz and current STMS President and Co-Founder Gregory Weiler and their wives recently returned from a pilgrimage to Rome to attend the Canonization of Saints John Paul II and John the XXIII. They also visited the sacred sites of Sienna and Assisi. 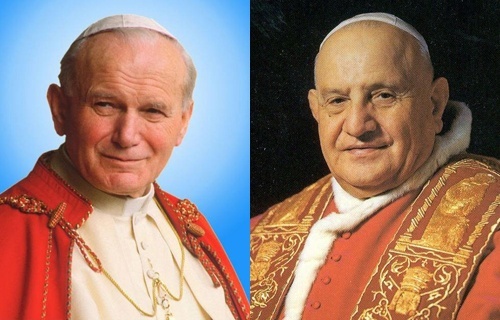 They will share their thoughts on these Saints, the Canonization experience in Rome and the Graces and spirituality attendant to any pilgrimage. Maybe a few travel tips for the Catholic pilgrim to Italy’s sacred sites.